Come as a novice or seasoned botanist! 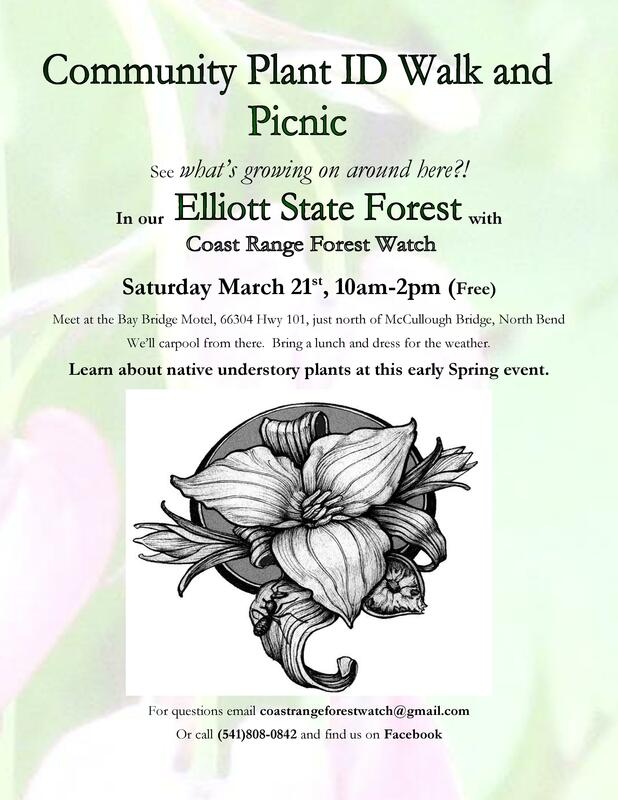 Join us for a weekend picnic where we will be learning and identifying some of the plants around our area; plants both common and unique. The hike is along a decommissioned road so the going will not be tough. The old road runs along the side of a very productive Coho salmon stream, and highlights Coast Range forest and wetland ecosystems. We hope to see you there.